McDermott International, Inc. has announced it completed the first phase of the deep-water Atlanta Early Production System (EPS), located approximately 115 miles (185 kilometers) offshore southeast of Rio de Janeiro, for independent Brazilian Exploration and Production company Queiroz Galvão Exploração e Produção S.A. (QGEP). 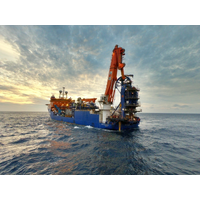 McDermott successfully performed the project management, engineering and offshore installation of all subsea hardware, including flexible pipes, umbilicals, umbilical termination assemblies, and associated equipment for the subsea umbilicals, risers and flowlines (SURF) project. As offshore oil and gas reserves become ever more difficult and costly to recover, the demand for innovative technology has never been greater. Joe Orrell, managing director at RED Engineering, considers some of the challenges in subsea infrastructure design and the role of fast track engineering solutions. The offshore oil and gas industry, even in times of low prices and abundant supply, is driven by the almost relentless search for new fields to replace those coming towards the end of their natural productive lives. TechnipFMC said it has been awarded a subsea contract by Murphy Sabah Oil for the Phase 1A Block H Gas Development Project. The project is located in offshore Sabah, Malaysia, at a water depth of approximately 1,300 meters. 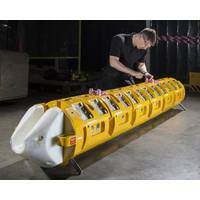 The contract covers the engineering, procurement, construction, installation and commissioning (EPCIC) of the umbilicals, risers and flowlines as well as the transportation and installation of subsea hardware and controls. 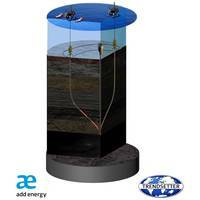 Energy consultancy provider Add Energy and subsea solutions provider Trendsetter Engineering have teamed up to develop the Relief Well Injection Spool (RWIS) Lite, designed to reduce the complexity of relief well operations on a global scale, when coupled with the original RWIS product. RWIS Lite is an exact structural replica of the original RWIS, which allows for duplicity in shared components. 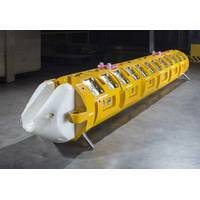 The original RWIS increases the flow capacity of a single relief well, which is a safer and less challenging option to drilling multiple relief wells during a subsea well blowout. 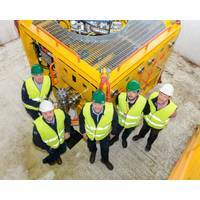 Wood Group is leading five new joint industry projects (JIPs) which will use the company’s extensive subsea experience to solve industry-wide challenges. SURFIM Network involves the largest number of operators for a Wood Group Kenny JIP, with 14 major companies having participated in its first phase. 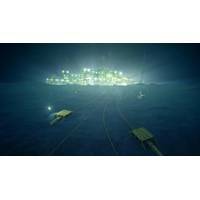 SURFIM Network Phase II will organise, convene and facilitate face-to-face and virtual forums for knowledge sharing and delivering solutions to subsea integrity and reliability challenges, focusing especially on subsea hardware. Apparently undeterred by low oil prices, oil and gas output from ultra-deepwater (>1,000m water depth) fields will continue the relentless growth seen in recent years. In the latest World Drilling & Production Forecast, DW predict combined oil & gas production from such fields will grow 7.7% year-on-year over 2015-2021 from 6.5 mboe/d to 10.2 mboe/d. This will come from the drilling of 1,470 ultra-deepwater wells, an increase of 68% on the seven years prior. A key factor is that at these water depths, only the most highly productive plays are being targeted. Wood Group Kenny (WGK) has been awarded an engineering services contract to support Tullow Ghana Limited and its partners through the execution phase of the Tweneboa, Enyenra and Ntomme (TEN) project, offshore Ghana. 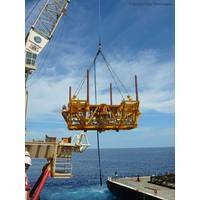 WGK will provide subsea, umbilical, risers, flowlines (SURF) engineering services. The Tweneboa, Enyenra and Ntomme oil fields are situated in the Deepwater Tano area, offshore Ghana, approximately 30 kilometres from the existing Jubilee field. Steve Wayman, CEO of Wood Group Kenny said: “We see this as a very significant award from a number of perspectives. Samson high-performance synthetic slings helped Technip install subsea hardware at Petrobras’ Cascade & Chinook project. Installing two pumping stations and two manifolds at Petrobras’s Cascade and Chinook fields in the Gulf of Mexico at depths in excess of 2,500m was accomplished with a “wet handshake” and the assistance of Samson’s AmSteel-Blue fabricated into lifting slings for the operation. Technip was the contractor, and Deep Blue was the installation vessel used during the deepwater installation.